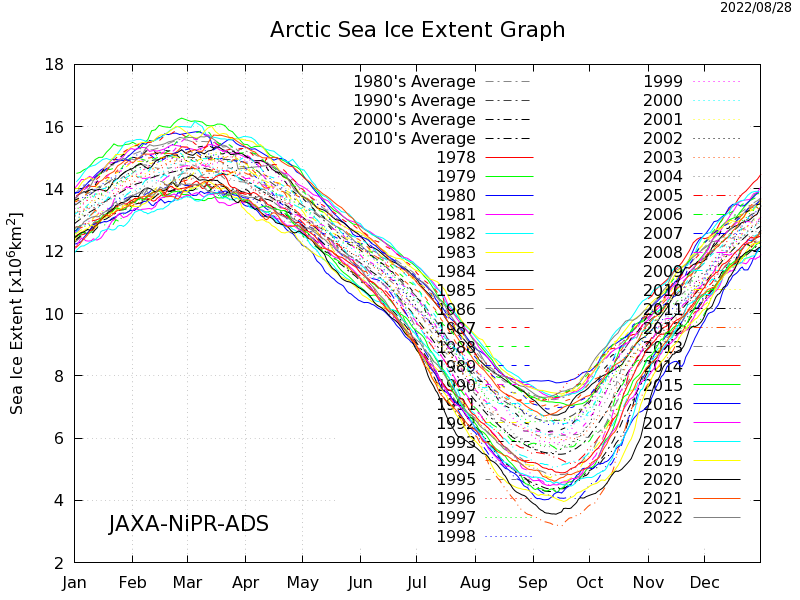 Here is a set of real time graphs from satellite data showing the polar regions sea ice extents and volume. 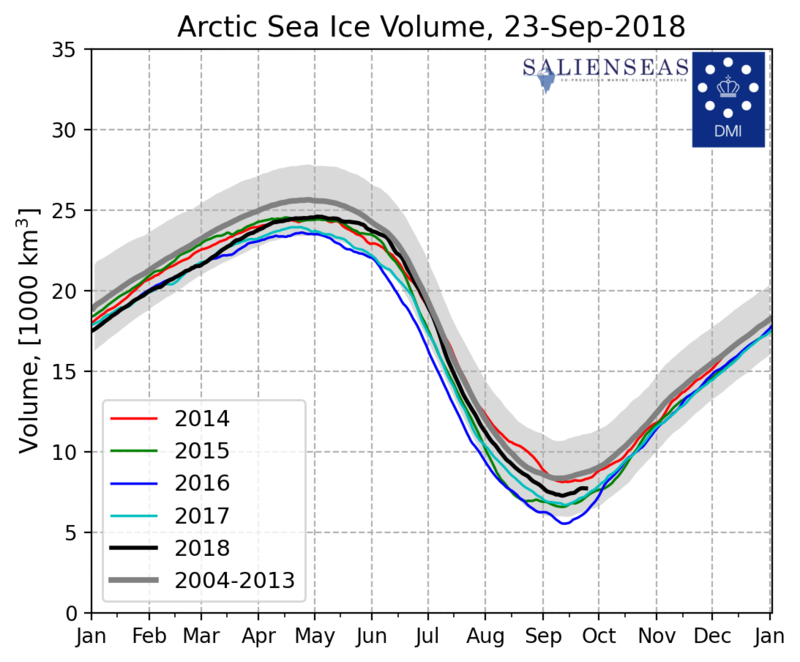 Plots open in a new tab. 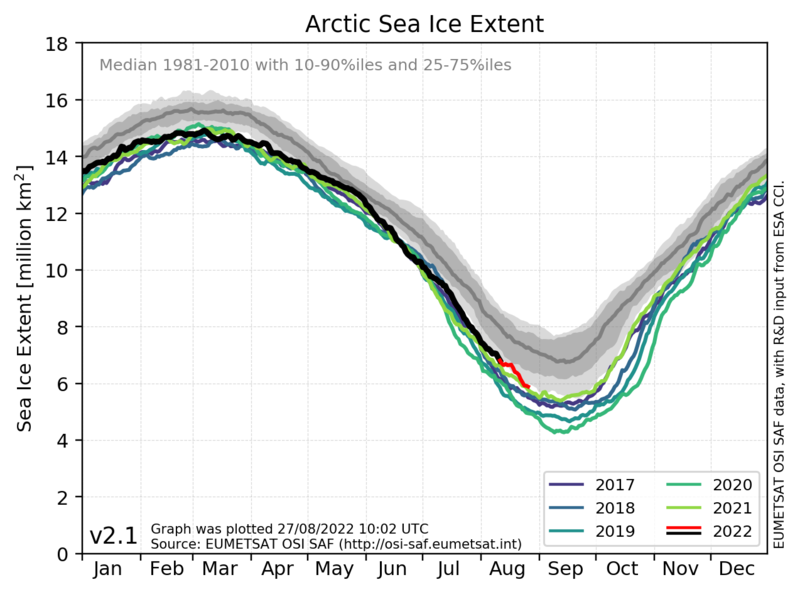 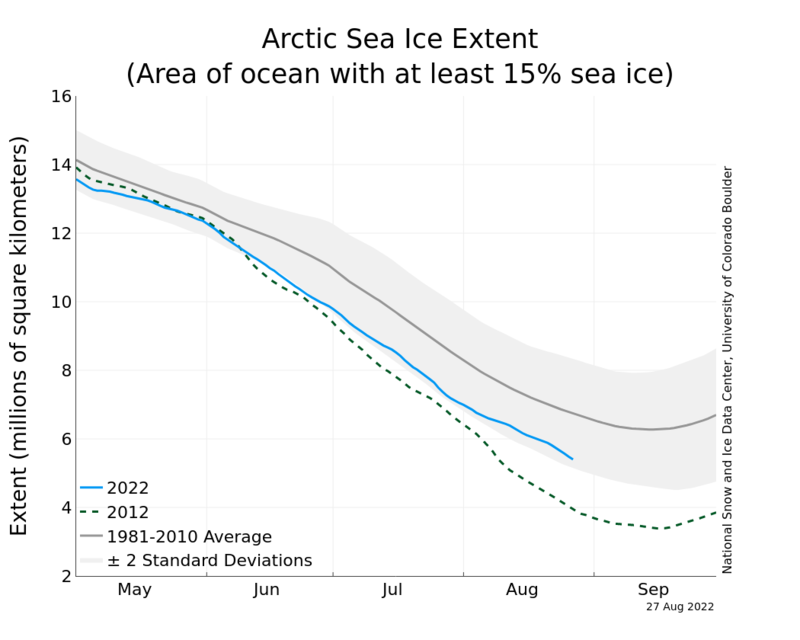 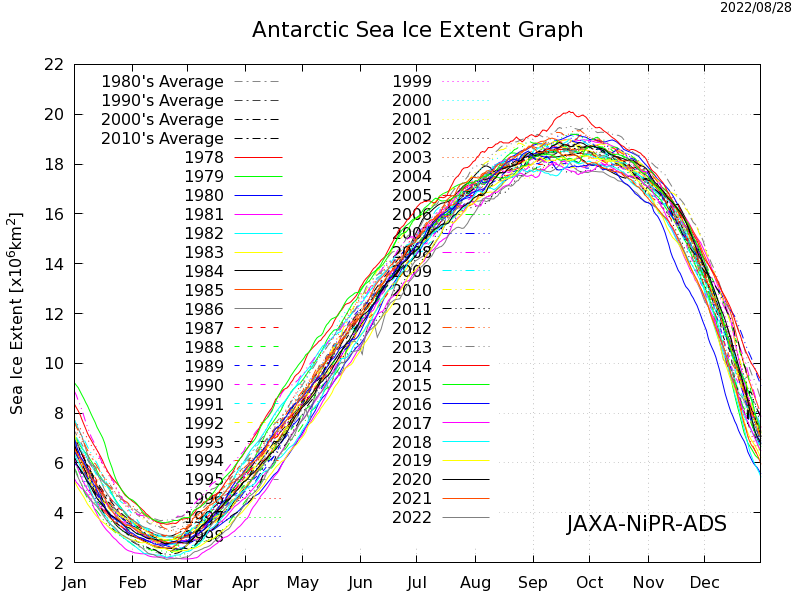 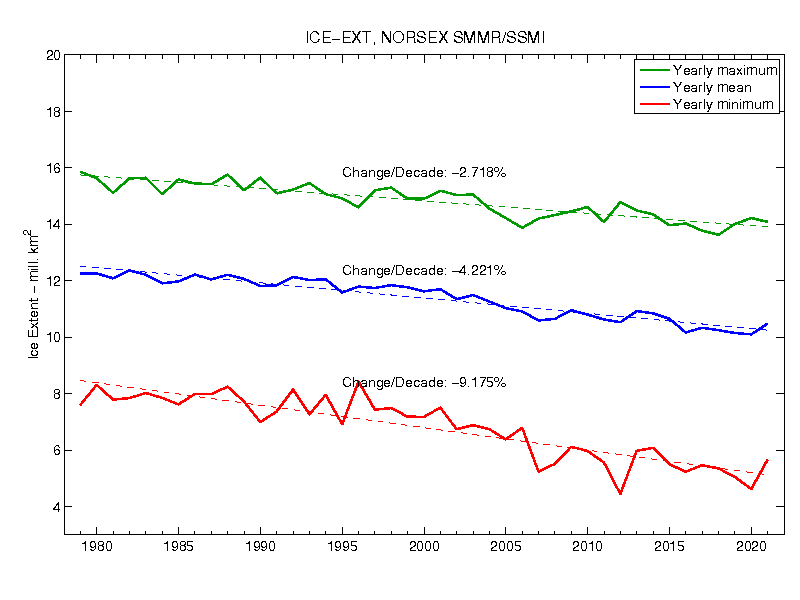 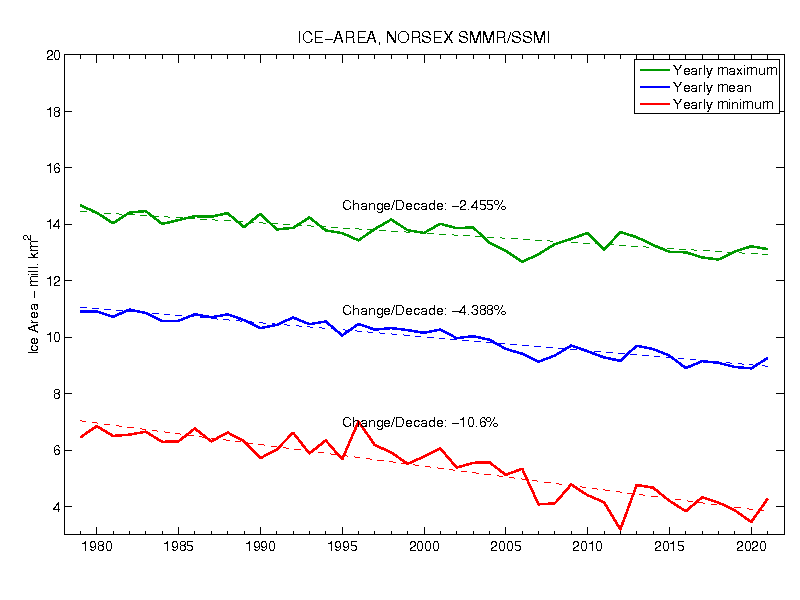 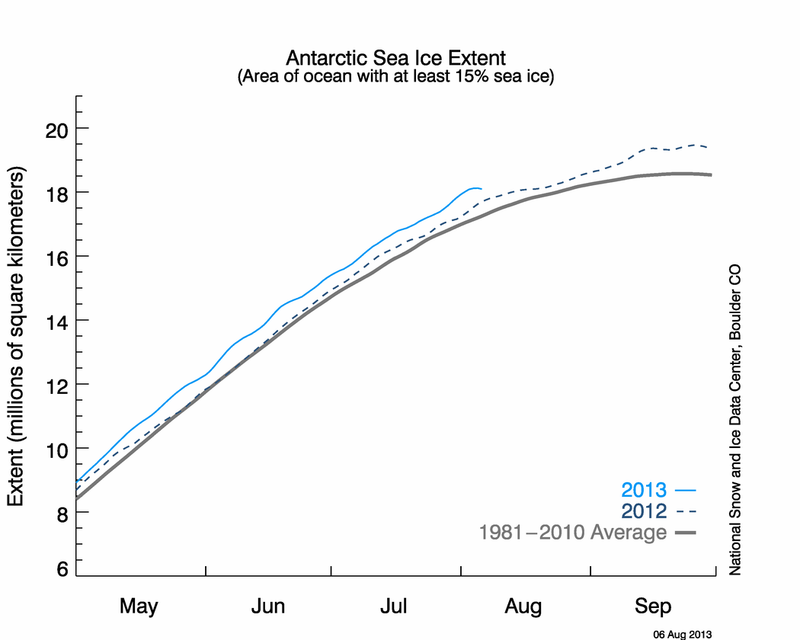 Click here for a real time graph showing the Arctic, Antarctic and Global sea ice extent. 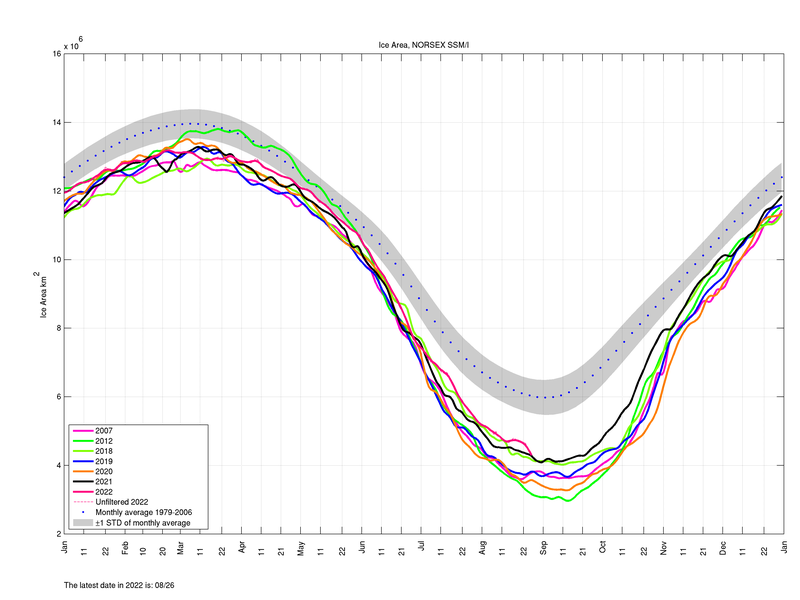 Click here for the Northern Polar Temperatures from UAH satellite data. 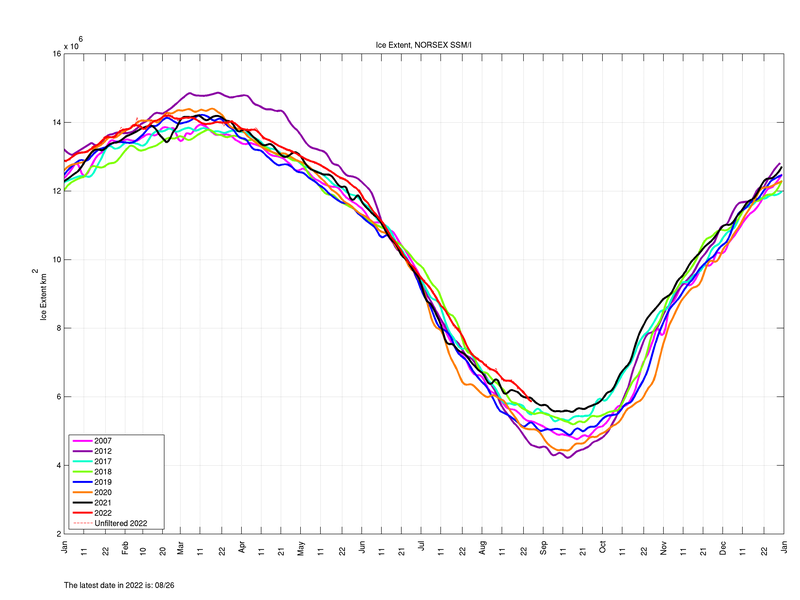 Click here for the Southern Polar Temperatures from UAH satellite data.